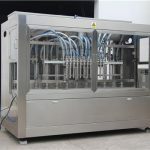 It adopts gravimetric method to measure, by weighing sensor output signal to control the charging valve opening, so as to realize the purpose the purpose of automatic filling. 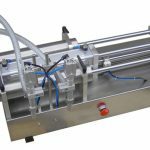 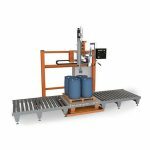 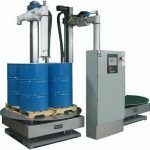 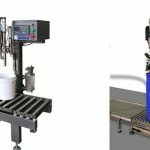 By equipped with a pump in the front end of the feeding port, or pressuring the material tanks Sent material from tank to the filling machine. 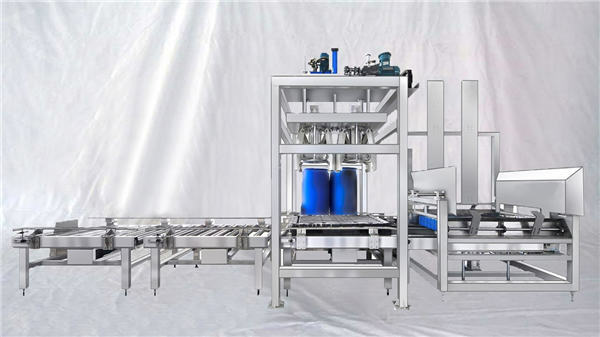 The filter device can be added before filling to guarantee the quality of products. 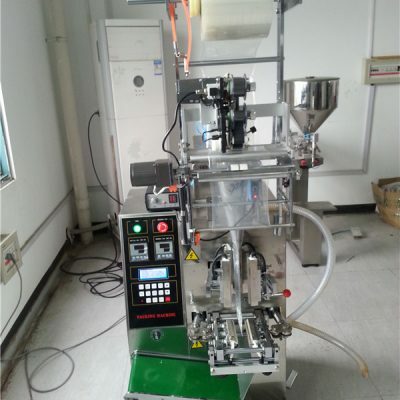 It has the advantage of high efficiency and small filling error, it's widely used in coating, ink, paint, asphalt, glue, lubricant, petrochemical, fineness chemical industries. 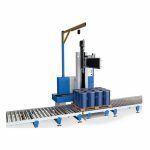 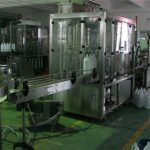 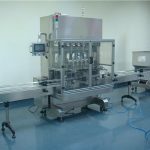 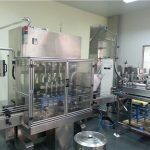 It is not only suitable for liquid filling, but also for ointment product filling. 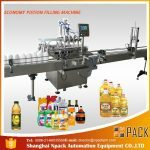 Applied materials: Suitable for industries such as coating, ink, adhesive, resin, chemical solvents, lubricants oil, pesticides, etc. 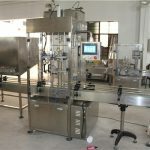 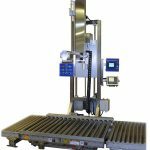 Automatic control instrument received weight signal of weight signal from the weighing sensor, control the quick or slow speed of feeding device, to achieve the purpose of automatic filling; With a semi-automatic roller conveyor and lid-pressing/clamping device to complete the filling and sealing process.